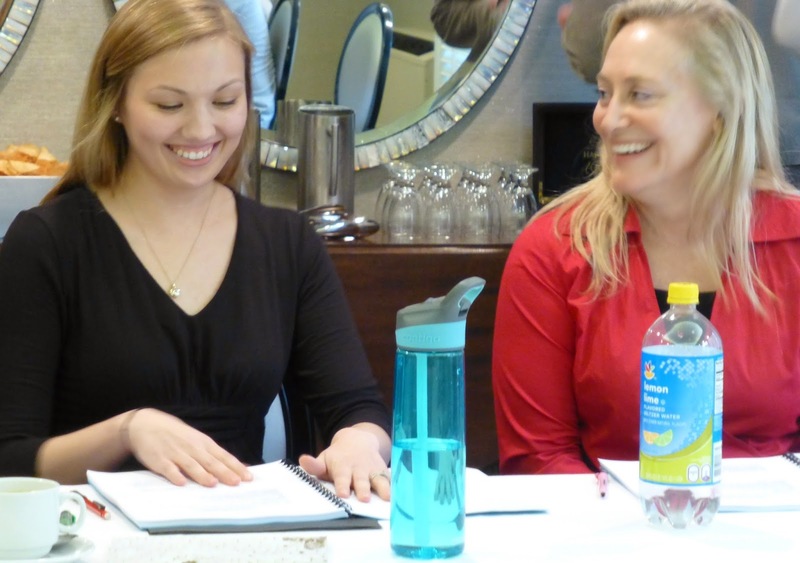 We had our table reading for Girl with Two Belly Buttons on Sunday, April 19. I am excited to be working with the perfect collaborative creative cast. Suzanna as Izzy, Matthew as Hugh, C. G. as Jesse, Scott as Dakota, Sara as Erskina, and Peter as Tryp. 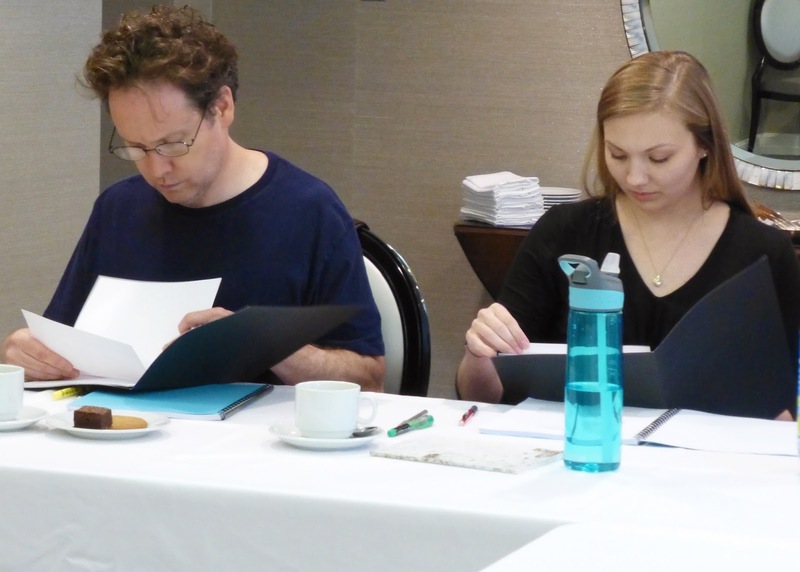 Some serious table reading action . . .
. . . and some fun. Kathryn as Izabela and Suzanna as Izzy. Our two lead actresses playing the same character, but at different life stages. David as Zsigmond and Kathryn as Izabela. The actresses and I agree Zsigmond is the "one who got away."